From the insanely busy walking markets to the surprising abundance of Thai-Western fusion food, Chiang Mai has got a little bit of everything for the modern digital nomad. 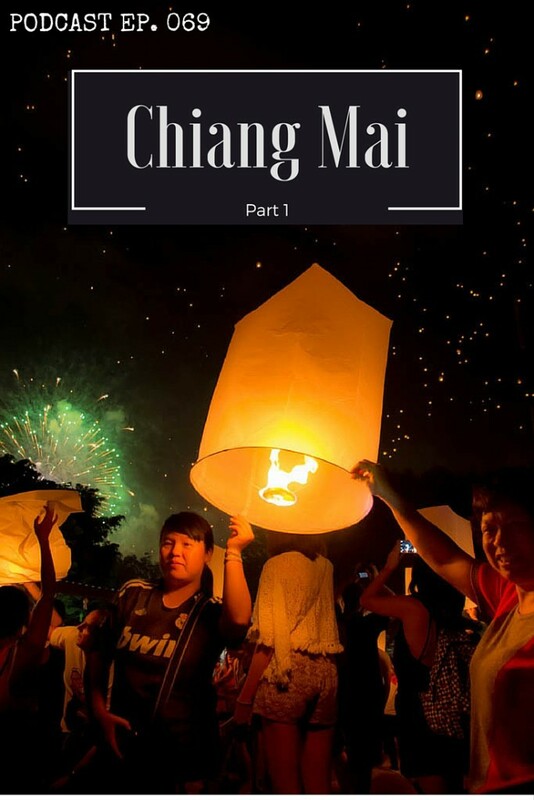 We find food, fun and even some classic Thai luxury, in part one of our two part Chiang Mai Podcast. 2 incredible luxury hotels – butler service and private balcony Jacuzzi’s rule! 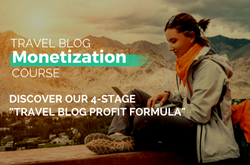 Travel Blog Monetization Virtual Summit – Our entirely online summit event happening from 30th March to 3rd April. Sign up below for the latest information by email, and visit the website to learn more. This is a partial version of the audio podcast. It’s missing lots of key sections of the show, including the live location clips and all of our usual silly ad libbing. 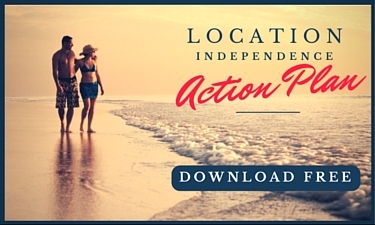 Listen to the full audio to get the complete Travel Freedom Experience! This is not spell checked or grammar checked. Thanks for joining us for part one of our 2 part Chiang Mai podcast. First up, we will be taking another break from podcasting in march so we can focus 100% on the Travel Blog Monetization virtual summit which is coming up on 30th March. We’ve got 15+ speakers and a lot of recordings, handouts and bonus features to put together to make this truly kickass. So for those listeners who are travel bloggers, if you don’t feel like you are making the full time income you want from blogging, this is going to be the event for you. 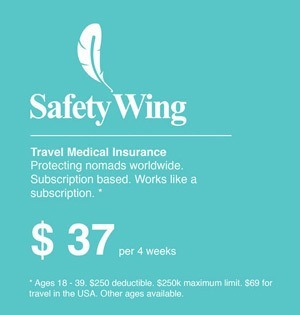 Head to travelblogsummit.com to learn more. So, we spent 3 months living in Chiang Mai over new year. It’s changed a lot since the last time we were there in 2011. So many digital nomads there now! Of course, with the ever growing influx of expats and tourists, there is also more availability of international goods and restaurants. Hams, cheese and salamis in all major supermarkets. Hipster coffee shops everywhere. We’ll be talking more about the Chiang Mai Lifestyle in Part 2 in April, as we weren’t living in the centre, we were living in a different neighbourhood that is full of nomads. But, all the regular tourists and travelers head to the old town. This is where you get to experience a little more Thai culture, temples and markets, mixed with tourist bars and restaurants. 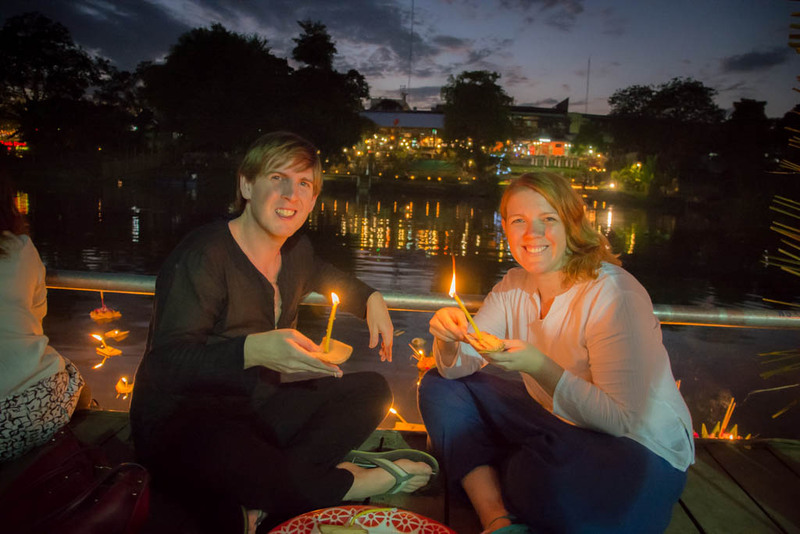 We were lucky enough to be in Chiang Mai in late November for the Loi Krathong & Yi Peng festivals. These are actually two different festivals celebrated on the same day. Loi Krathong is the Thai River Lantern festival, where floating lanterns made of plants and flowers are released onto the river. This happens all over Thialand, including Chiang mai. The term Loi Krathong literally means “to Float a basket” and the ping river in Chiang mai become full with thousands of these floating lanterns over the main few days of the festival. Yi Peng is the Lanna, or northern Thailand, sky lantern festival. 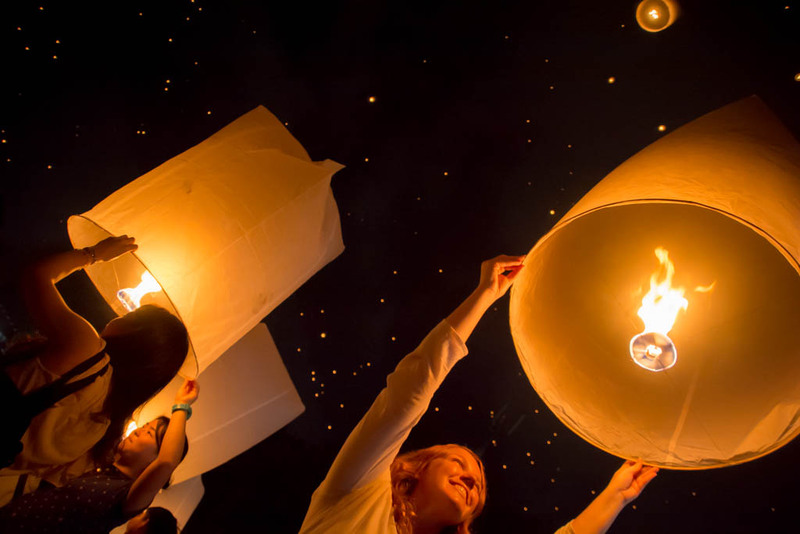 If you’ve been to asia before you may have had the opportunity to release a sky lantern. typically a 2 foot cylindrical lantern is made from rice paper around a bamboo or wire frame. A candle at the middle of the open base of the lantern is lit and quickly fills it with hot air so you can let the lantern float into the night sky. Of course, the best thing about the Yi Peng festival is the sheer amount of people releasing lanterns. The festival dates are lunar based, so vary every year. Check on google for the exact dates. It’s set for Nov 15th 2016. We got some great photos releasing sky lanterns down in the centre of Chiang Mai, near the river, close to Narawat Bridge. Still to come – more culture as we visit the most impressive temple in Thailand. Plus, Thai Fried Chicken. Yum. But right now, Another thing that is certainly becoming more common as Chiang Mai modernises, is the availability of luxury accommodation options. Would you like a villa with a private jacuzzi on the balcony? Wine glasses at the ready. Or perhaps a luxury suite with butler service and in-room dining with a full, extravagant dining room setup. Well, we road tested a couple of top luxury hotels while we were living in Chiang Mai. It’s a hard job, but someone has to do it. 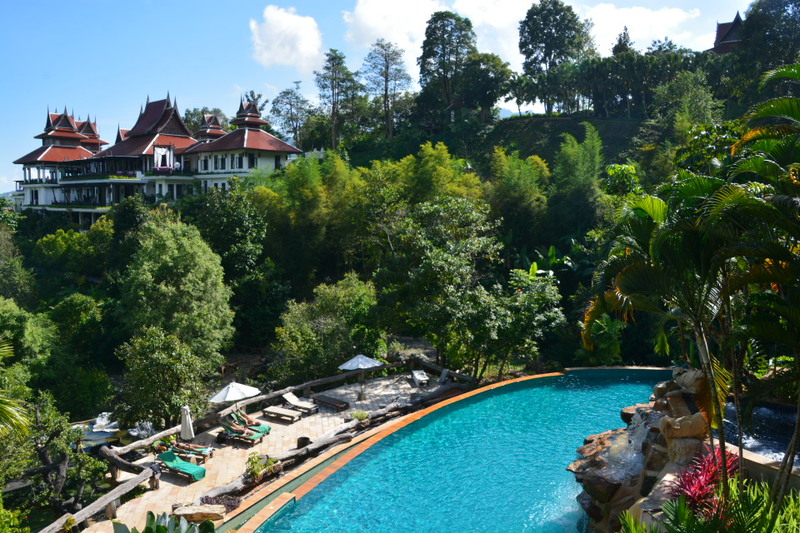 First up, a little under an hour outside of Chiang Mai, in the hills, is Panviman Resort. This place actually made it as our favourite accommodation of 2015. Your traditional, yet luxurious villa comes with a giant balcony and that all important hot tub. Cloaked by woodland, clothing is purely optional for bathing. They also have private infinity pool villas with views down the valley. but, if you can’t get yourself into the private suites, there is an entire hill side, multi level infinity pool available to all guests. The view of jungle and hills goes out for miles. It’s worth Checking out the show notes for photos travelfreedompodcast.com/069 as it’s breathtaking. If you are looking to be closer to the action, rather than retreating to the countryside, then perhaps some more central luxury at The Chiang Mai Riverside. This is an all suites hotel. It’s boutique and every room has unique design. So you can find one that makes you feel at home. 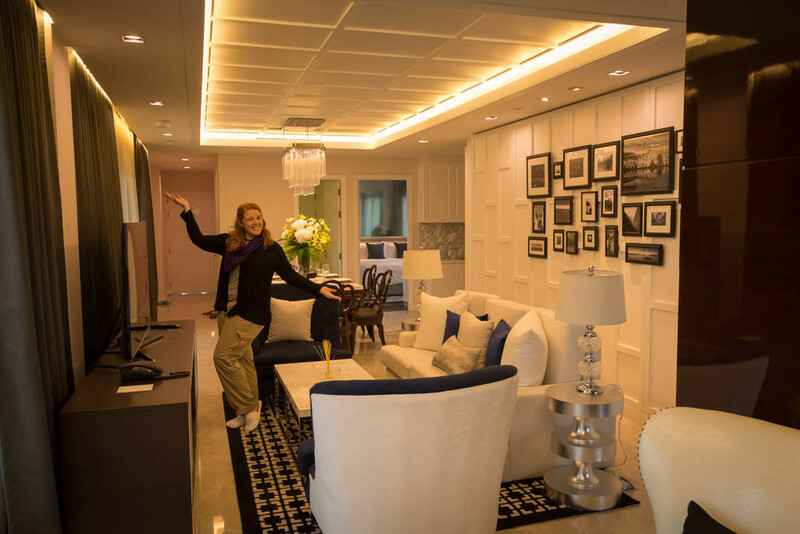 Every room is named after members of the owner’s family, and every single piece of furniture is available for purchase. From the couch to the chess set, lamps or chandeliers. Breakfast is served to your private dining room in each suite and is available until 2pm. That’s probably the latest breakfast I’ve heard of in any hotel. Each room is fitted with the latest apple TVs which they had to get imported from Hong Kong as they are not yet available in chiang Mai. Seriously, the picture was so realistic it was freaking us out a little, feeling that close to the action. Along with the personal butler service – who will unpack your bags and be on call for all your curious whims – The Chiang Mai Riverside was a truly luxury experience. As we said earlier, Chiang mai is becoming very global. But, often it’s a fusion. Thai culture, hospitality and food mixed with western. 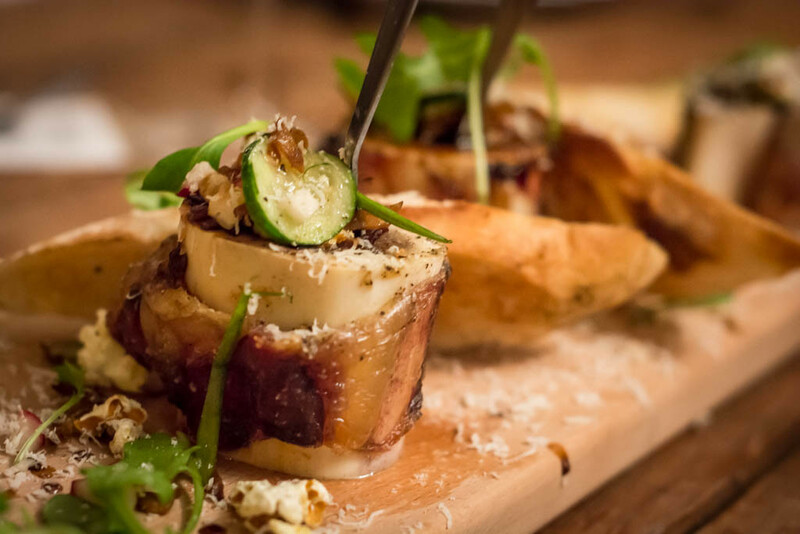 One of our favourite food experiences was Farm to table with Rustic & Blue. Chef Julien, from Quebec, uses only fresh local ingredients to create a unique foodie experience once a month in a perfect outdoor natural setting, in a secluded spot by the river. Oh, the food was so good! The ribs were my favourite course, but the slow roasted marrow, and also the beetroot and smoked salmon salad were both exceptional too. But, I think the real win was the ambiance. Their secluded and peaceful riverside location, with all the fairy lights. Perfect. Plus, locally made craft beer. not a lot of those around as most of the craft beer in Thailand is imported. So this was a real bonus. The whole evening including unlimited drinks and transport is just $45 USD. Sensational value for a gourmet evening with craft beer and wine. So, more food coming up as we visit Chiang Mai’s most popular weekly market. Before that, we took a little excursion from the city. A few hours to the north is one of the most unique temples in the world. And then we went inside. The main room is filled with the usual buddhist iconography, with the added bonus of a more modern twist. Yes, Batman, superman, even Neo from the matrix, along with many other popular characters, are all featured on the walls opposite the main wall. As well as that, the walkway into the temple is surrounded by demons and lost souls who have been trapped in the underworld. They are reaching up at your feet as you pass through the gates of evil into the pure sanctuary of the temple. Everything is carved so perfectly. And in quite a controversial style – so much so, more traditional buddhists have certainly complained how the temple is an abomination. Being that I’m not Buddhist, it’s hard to see it that way. It’s just a remarkable art piece. And still a work in progress too. Finally today, a trip to Chiang Mai is not complete without a visit to it’s most popular sunday walking market. So yeah, Thai Fried Chicken always seems to have a little something something to it. It’s a big step up from KFC, and with the busier markets, you are more likely to get it super fresh straight out of the fryer. But, there was more than just chicken to explore and digest from the Sunday walking market. Dang! We are bad tourists. Fried chicken and waffles. There is something special about eating these foods thai style from a street cart though. 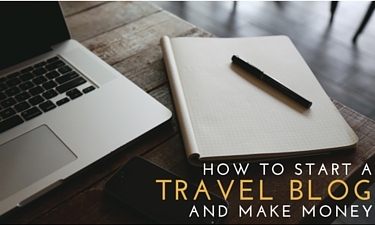 So we are taking another break from podcasting for March as we’ll be focusing 100% on the Travel Blog Monetization Virtual Summit. In part 2 of our Chiang Mai Podcast, which will be episode 71 coming in April, We’ll be talking about the less glamorous, but certainly relatively productive side of living in Chiang Mai as a digital nomad. Plus, we are trying to decide where to visit in 2016. Tweet us @mytravelfreedom with your suggestions of where we should go visit and podcast about. DISCLAIMER: We are affiliated with or sponsored by, World nomads, Rustic & Blue, Panviman Resort, The Chiang Mai Riverside – companies we love and support. Some other links may also be affiliate links – these links help support the podcast financially. All our opinions, as always, are our own. No spam - we pinky promise!